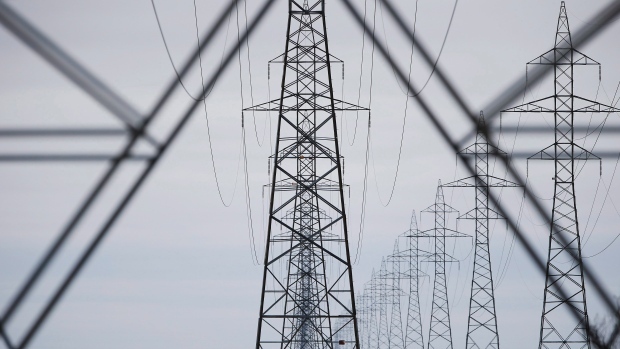 Manitoba plans to probe the “tragic waste of money” at the province’s electricity utility, which has carried out $14 billion of projects in recent years, the premier said. The government plans to commission a review of Manitoba Hydro projects, which are facing cost overruns and ballooning its debt, Brian Pallister said Thursday in an interview at Bloomberg’s New York office. The decision to reroute the Bipole III transmission line cost taxpayers almost $1 billion and the plan to construct the Keeyask generating station was made without proper approval processes, he said. The potential inquiry comes as Pallister’s Progressive Conservative government is in the midst of reining in spending as it attempts to return the province to surplus. Manitoba has posted budget deficits since 2010 and has been chipping away at the shortfall since Pallister, 63, was elected in 2016 with pledges that included trimming senior management positions within government and arms-lengths corporations. Manitoba Hydro accounts for 65 per cent of the province’s $6.4 billion borrowing requirements for 2018-19, according to budget documents. Manitoba’s credit rating was cut by S&P Ratings in 2016 and again last year as it carries one of the highest debt loads among Canadian provinces. Almost all of the utility’s board members resigned in March, saying they had attempted to meet with the premier to resolve critical issues for more than a year. Pallister rebuffed a plan for the utility to pay an indigenous group $70 million to smooth negotiations over a transmission line. Utility regulators this week approved a 3.6-per-cent increase in average electricity rates in June, or less than half of what the utility sought to help pay for its increasing spending on the 695-megawatt Keeyask hydroelectric plant and a transmission line to deliver its power. Construction delays have increased the cost to more than $8.7 billion and the project manager in January told provincial regulators that further delays could raise that to as much as $10 billion if there are additional delays. Previous decisions by Manitoba Hydro, a government-owned corporation that’s one of the largest electricity and natural gas utilities in Canada, to build Bipole III while constructing Keeyask generating station is poised to double its debt in a relatively short time frame, according to the utility’s 2016-17 annual report, the latest available. Bipole III is estimated to cost $5 billion, according to the report. Manitoba’s bonds have declined 2.8 per cent this year, lagging other provincial and municipal bonds which lost 2.1 per cent, according to a Bloomberg Barclays index. The province’s most recently sold bonds, a new 10-year benchmark, traded at a yield of 3.12 per cent on Tuesday. That’s 78 basis points above similar-maturity federal government bonds and nine basis points above Ontario. Asked whether Manitoba might sell a stake the utility to raise cash, Pallister said it’s not currently an an option. “There’s no plan to do that,” he said. “None whatsoever.” Pallister came to New York City this week to sell banks on the province’s fiscal turnaround and gauge interest in Manitoba debt. The premier said the province would be interested in pushing out the terms of more of its bonds to 10 years to lock in current low interest rates with limited additional cost. The decision to move Bipole III was a “bizarre decision and it will go down in history as one of the biggest wastes of money,” Pallister said.